Today I move from Haydn back to Mozart for an illustrated talk in the excellent Speakers for Schools programme, initiated by BBC’s Robert Peston. I’ve been on the speakers roster for a couple of years now, and it’s a wonderful way of engaging with young talent, hopefully inspiring them to step out of their comfort zones and respond to the challenges that their individual talents pose. In many cases, Speakers for Schools have found that an inspirational talk from a business leader, creative artist, scientist, NGO representative, museum director and so on (the list is very long) has spurred pupils on to greater self belief. 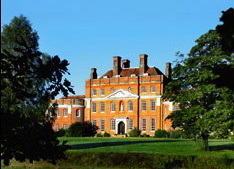 I’ll be talking and playing at Coombe Boys School in New Malden this afternoon, explaining how I reconsidered and rebalanced my academic and practical interests through the discovery of period instruments and playing techniques. 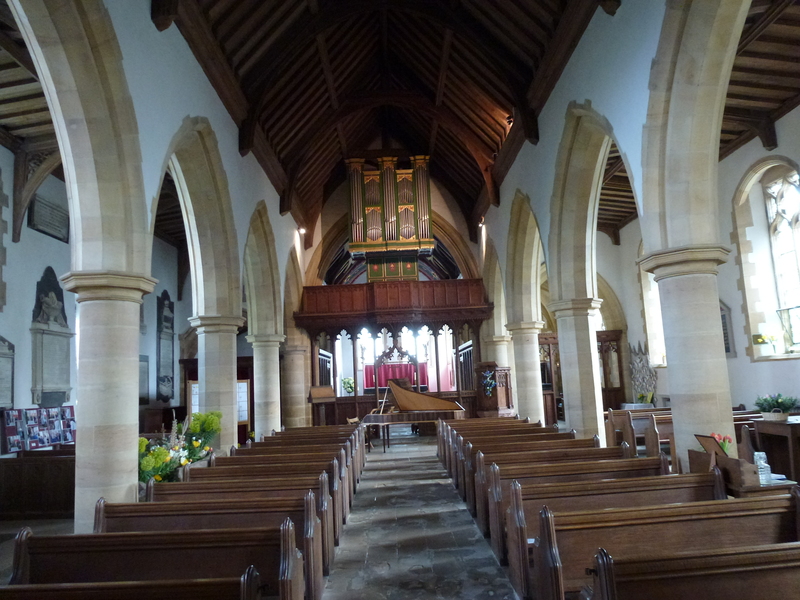 This is the inside of St Oswald’s, Lythe where I’ll be playing a selection of four Haydn Sonatas prior to recording them later this week. There’s something fascinating about the marriage of Art and Place. Whether it’s landscape, quality of light, pace of life (bustling urban or quiet rural are just the extreme limits…), a personal connection to one’s roots or adopted home place, Place can inspire Creativity. One such place is the dramatic North York Moors landscape along the coast from Whitby to Robin Hood’s Bay and beyond, a focal point of which is the village of Lythe, dominated from the sea by the tower of St Oswald’s – a historic church sporting an internationally-renowned collection of Anglo-Scandinavian carved stones, along with some fine medieval stonework from the 12th century. 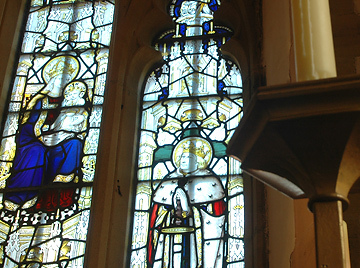 Local craftsmanship stretches back well over a century, one highlight being the fine altar screen, completed in 1910, and a testament to early 20th-century genius at work in this peaceful setting. 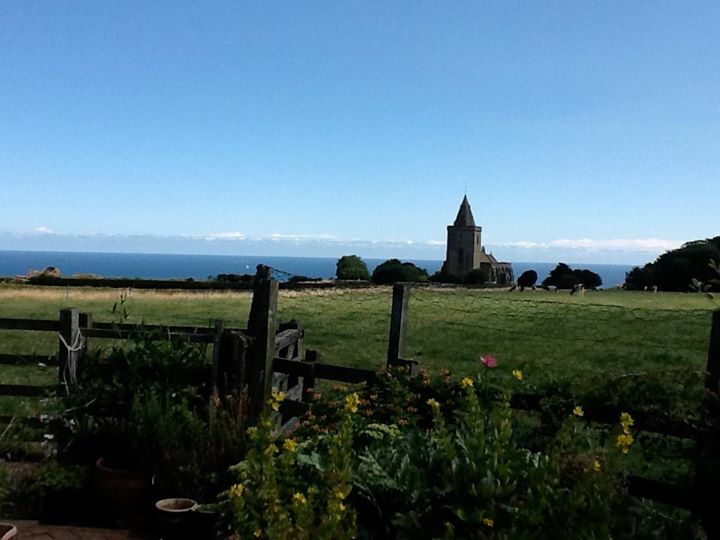 The name “Lythe” means “on a hill”, and St Oswald’s stands atop Lythe Bank, winding its way up from the quiet fishing village of Sandsend. Further up the hill from St Oswald’s a remarkable keyboard instrument maker, Johannes Secker builds his inspiring modern copies of harpsichords, clavichords and fortepianos – all based faithfully on historic originals from the 17th and 18th centuries. Johannes shares this coastal location with other master-craftsmen, among them watercolour and stained-glass artists who work nearby distilling the essence of this place in their productions. 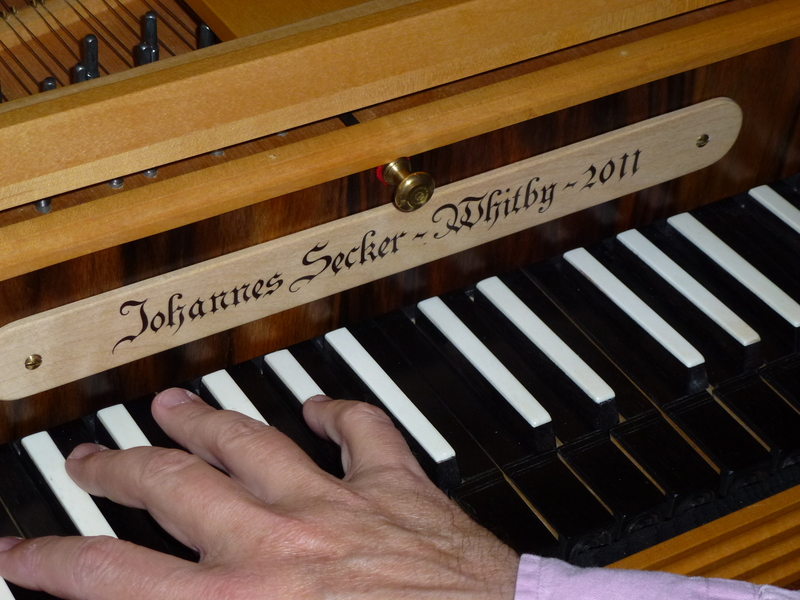 Johannes’ latest keyboard instrument is a replica of a 1780s fortepiano by the South German maker, Johann Andreas Stein, completed in 2011. Stein’s pianos were among the best of their age, and were much-admired by Mozart, among others. 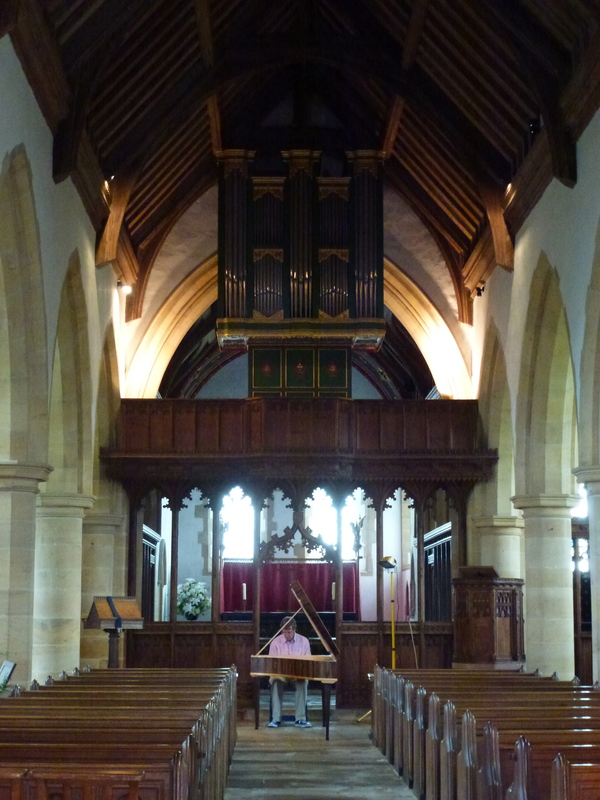 I had the privilege of seeing it when not quite finished, and of playing it at its inaugural public outing in St Oswald’s last August, as part of the North York Moors Chamber Music Festival (where it gave voice to works by Mozart and Beethoven). 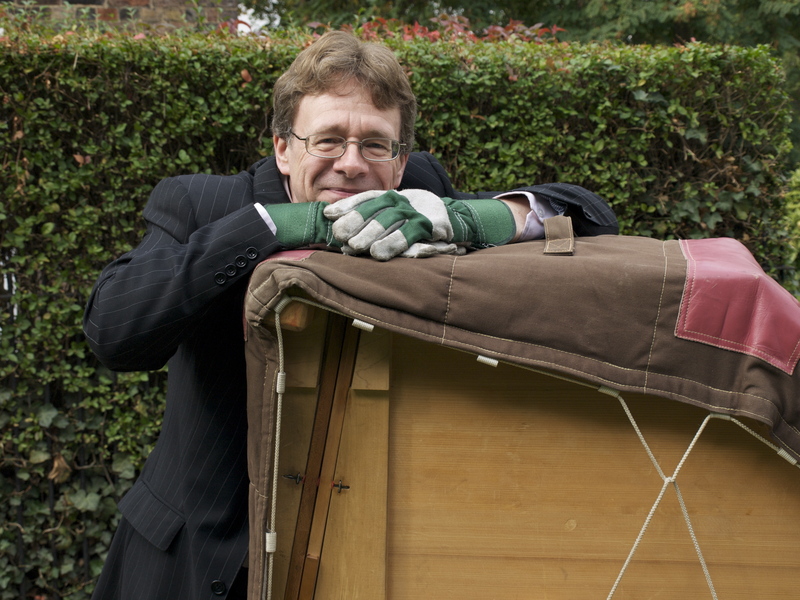 Later this month at St Oswald’s I will have the renewed privilege of playing this instrument again – just down the hill from where it was built – in a CD recording of four solo keyboard sonatas by Haydn. It seems fitting to be capturing the sound of this master-craftsmanship in its own domain, sounding it in its place of birth, so to speak, playing a part in continuing that vital living connection of Art and Place and preserving it for generations to come. What a pleasure it was yesterday to give a Masterclass to students from Bart van Oort’s fortepiano class from The Royal Conservatoire, The Hague. They were visiting the astonishing keyboard collection at Finchcocks, where students had the opportunity to play to me on three different Viennese fortepianos (a Lengerer, a Rosenberger and a Graf), as well as a modern Viennese copy from the Adlam-Burnett workshop. Repertoire by CPE Bach, Mozart and Schubert had been really well prepared by six Hague students, all at different levels of their studies. How impressive that these students (ably guided by Bart, of course) were already so inventive and technically fluent on these fine instruments – sometimes after just a few months’ study! And what a privilege to be able, therefore, to concentrate exclusively on really fine detail, aimed at polishing their already professional performances (including a memorable Schubert C minor Sonata). Two students from the Piano and Organ Department at Trinity Laban were able to join in the masterclass (they studied with Bart while I taught his own students), extending their familiarity with period pianos and giving them fresh insights into possibilities of expression. All in all, an excellent collaborative idea – one well worth repeating! 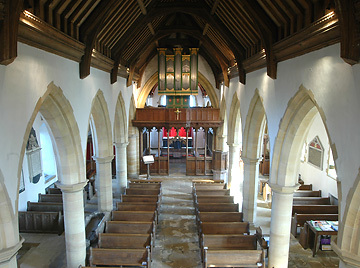 This is the inside of St Oswald’s, Lythe, where I’ll be recording a programme of Haydn Piano Sonatas on a new instrument by Johannes Secker (who lives and works just a couple of hundred yards up the hill from the church). Johannes’s instruments are to be found on both sides of the Atlantic (including Trinity Laban Conservatoire of Music and Dance in London, and the Music Department at The University of Cardiff). Yet I don’t think his work is valued as highly as it ought to be. My CD of Haydn aims to show what a superb craftsman he is. The instrument I’ll be playing (shown above) is a copy of a Stein from the 1780s (completed in 2011) and is wonderfully well-suited to Haydn. Given the acoustic of this special Norman church (substantially rebuilt in the 19th and early 20th centuries), the quality of the piano, the fantastic support I’ll receive from the Producer (Jane Booth) , the Recording Engineer (Roy Mowat) and Johannes himself (who is tuning and generally tending the piano throughout), it should be OK!